If you are the parent or caregiver of a school aged child, now is the time when you have been bombarded with the supply lists for all the necessities of the upcoming school year; backpacks, pens, pencils, handsanitizer and more. Among all these items for preparation, let’s consider preparing the child for a fantastic school year. Considering their daily eating and sleeping habits can certainly contribute to the successful school year. Breakfast: Fueling your child’s system each morning with proper amounts of nutrients will get their brain functioning properly to start their day off on the right foot. Try to avoid cereals and pastries that are loaded with sugars that lead to a crash not long after consumption. How about the lunchbox: Keeping it in balance here is a big part of keeping them up and running for the rest of the day. Avoid the mid-day slump by again avoiding sugary items that will result in the body longing for that afternoon nap. 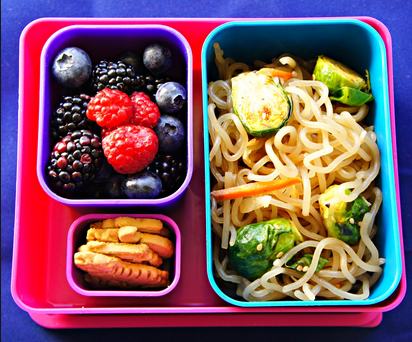 Fill half of the lunchbox with colorful favorite fruits and veggies. Then add a third of their favorite whole grain, bread, rice or other healthy options combined with their favorite protein of chicken, cheese or tasty nut butter. Are they getting enough ZZZZ’s? Proper rest plays a critical role in not only our day to day performance, but growth and development of school age children. Break the summer sleeping habits by starting a few weeks before the start of the school year of going to bed early and getting up at the proper start time for the school-day. This will give time for the body to adjust and get into the routine of waking and sleeping appropriately. According to the Sleep Foundation, school age children should be getting between 7-11 hours of sleep per night. 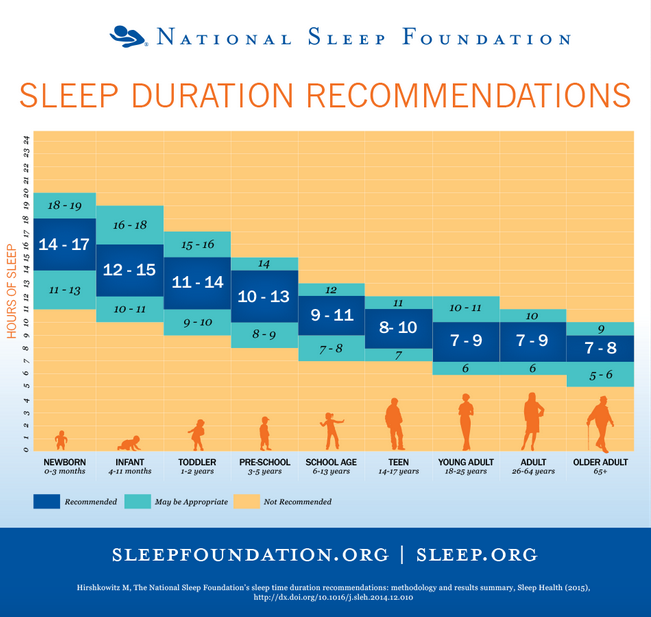 (see above chart) Developing healthy sleep habits are another way of setting your child up for a successful school year. We at Burlington Health Care wish all of our area children a fantastic school year. Should the need arise for medical supplies this year, we are here to help in making decisions that will help put your mind at ease.